If we really knew who we are, we would live differently. Part of our sanctification process is the restoration of who we are in Christ. This month we are talking about being restored. So often we want restoration of things, relationships, statuses or desires, but it is our souls and our identity in Christ that need restoration. 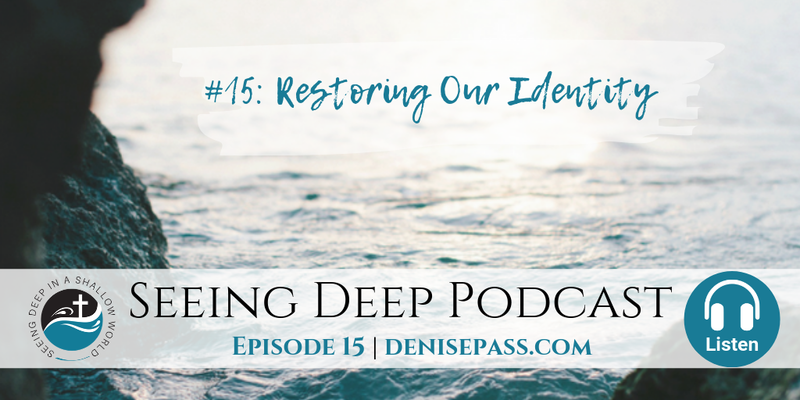 Listen in and be encouraged as Denise shares how to restore our identity in Christ. **BONUS: Free poster on our identity in Christ.